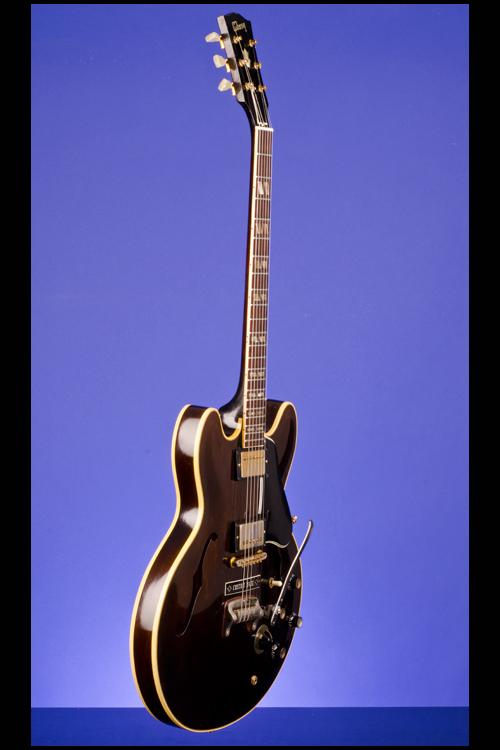 ES-345TDW Guitars | Fretted Americana Inc.
Special Custom Order in the Exceptionally Rare "Solid Walnut" (Almost Black) Custom Color. With the following "case candy": 1. 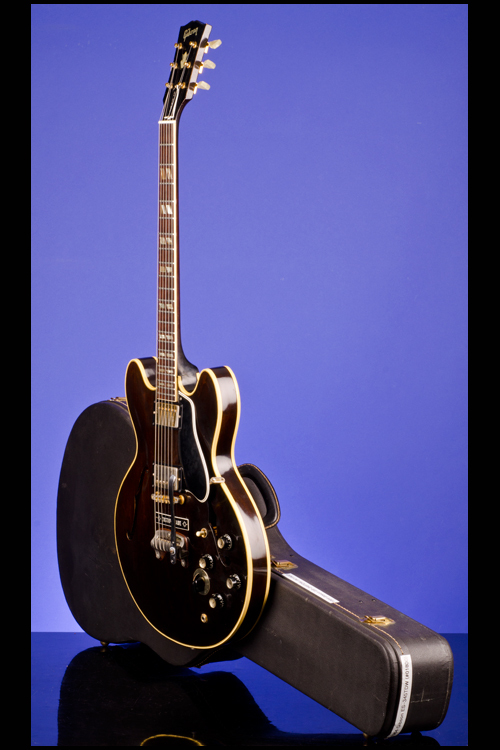 A valuation of this guitar by George Gruhn, dated 7/11/96 ($3,500.00); 2. "Now, Complete Directions for Achieving Perfect Stereo Sound" (one page); 3. 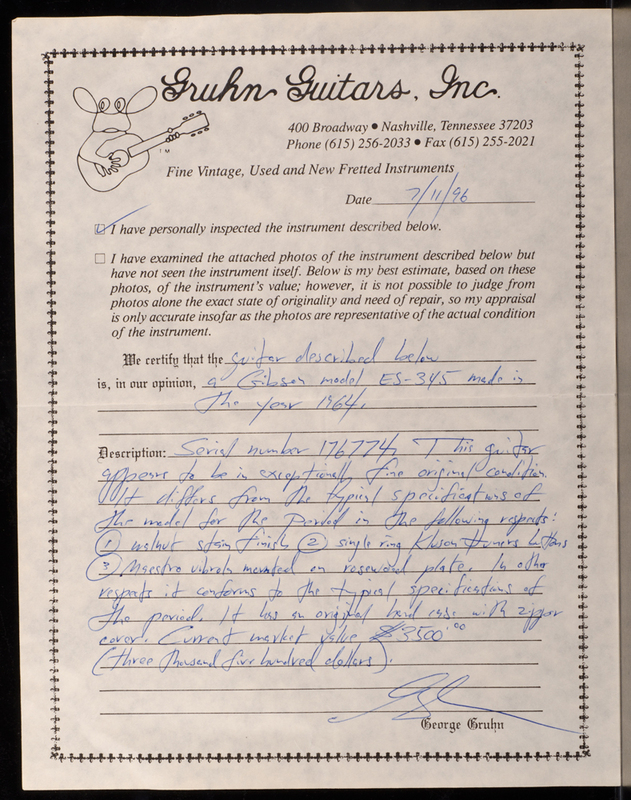 "*Humbucking Pickup Adjustments" (one page); 4. 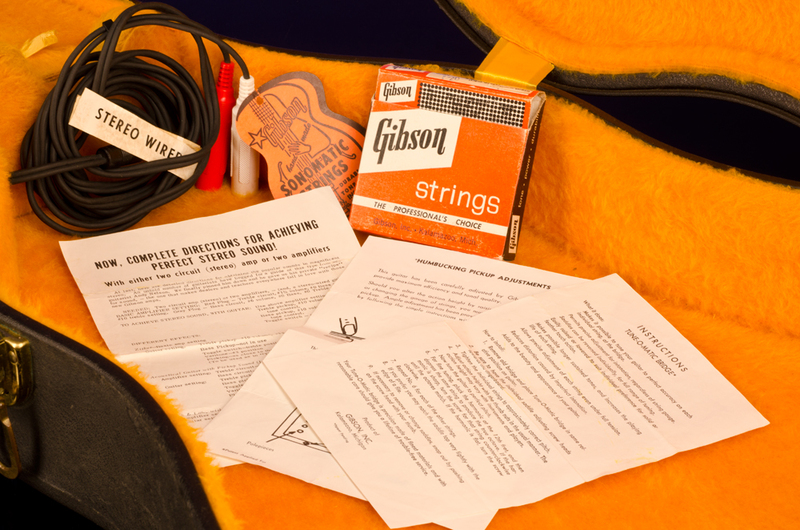 "Instructions Tune-O-Matic Bridge*" (one page); 5. 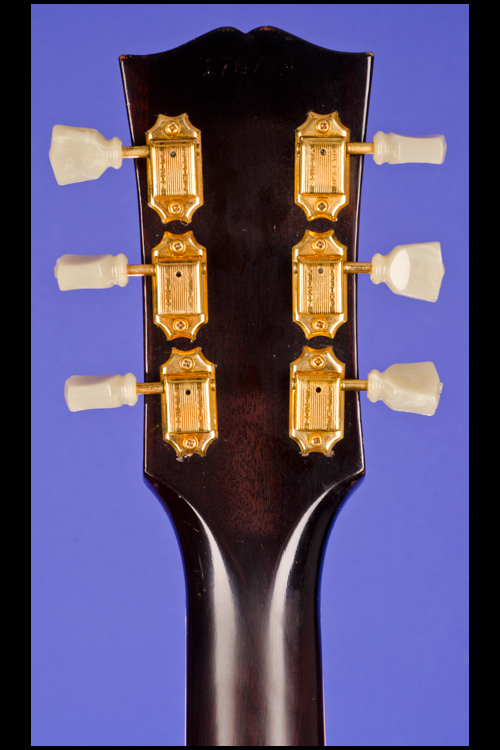 The original orange "Gibson Hand Made Sonomatic Strings" hang tag; 6. 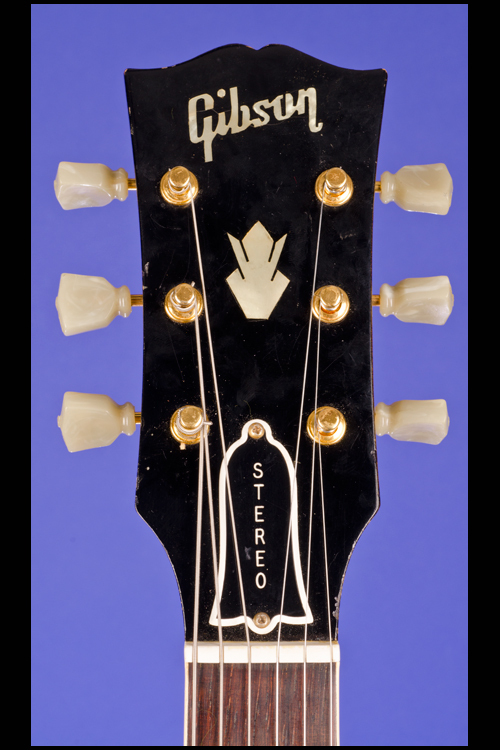 The original white "Stereo Wired/Use Gibson Stereo 'Y' Cord No. 501-S Only" label; 7. 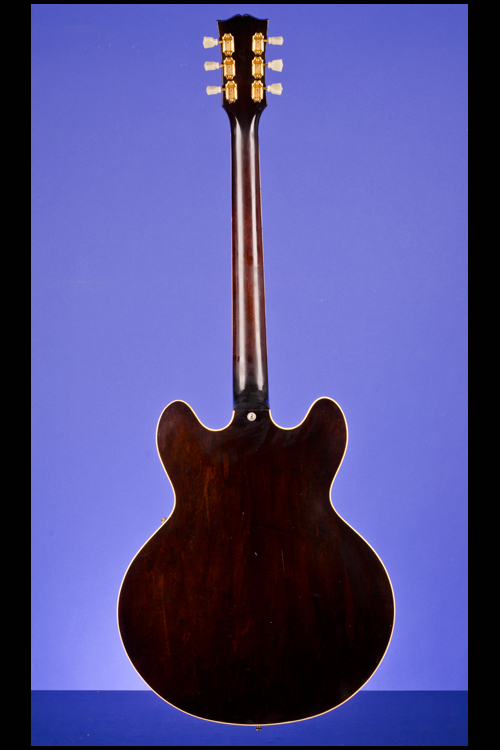 The original Gibson stereo "Y" cord; and 8. 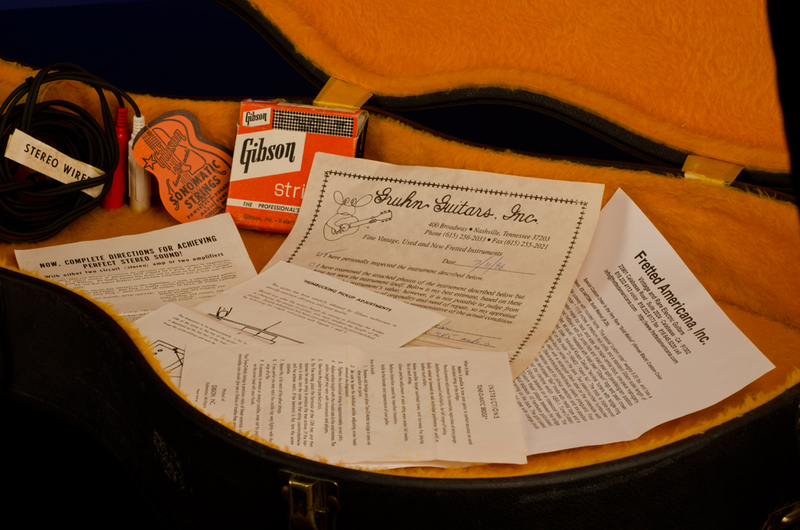 Two original Gibson "B" strings, in their original envelopes and in the original orange and black box. 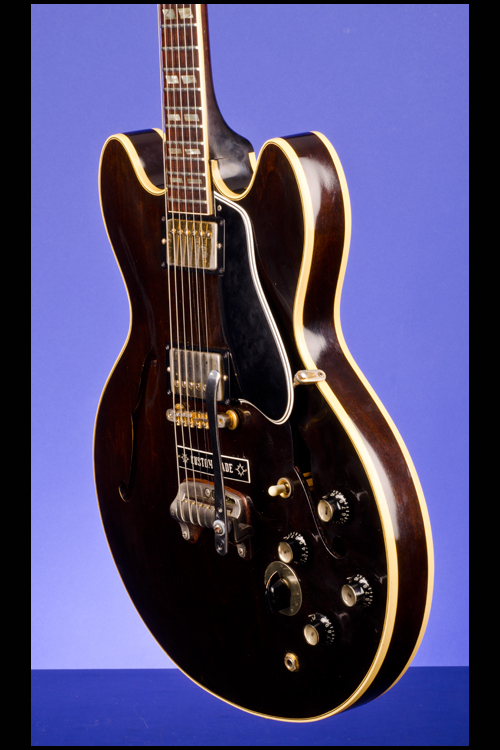 This guitar was a special "custom order" in the ultra rare "Solid Walnut" color (which is considerably darker than the usual Walnut). 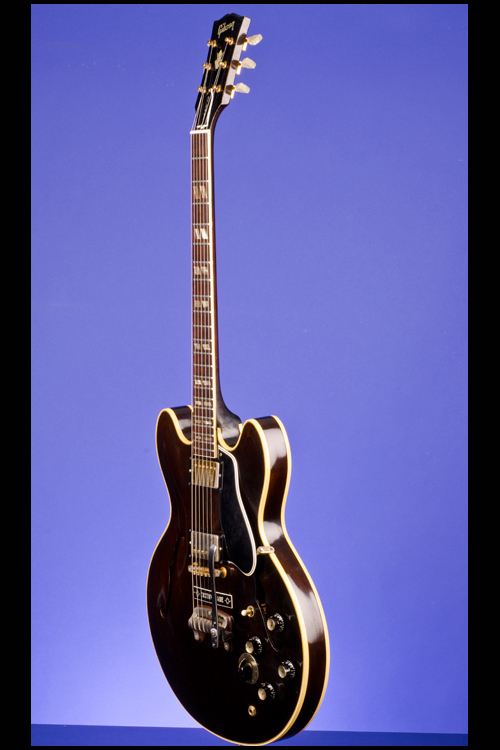 Walnut was not officially offered by Gibson on ES-345s until 1969 (106 ES-345TDWs were shipped in 1970). 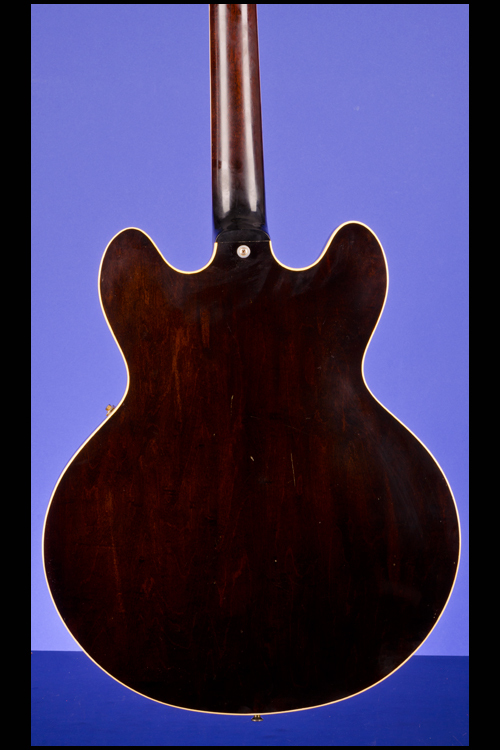 The Gibson shipping record for this guitar (serial number "176774") shows the it was specially-ordered in Walnut with a Gibson Maestro Vibrola. 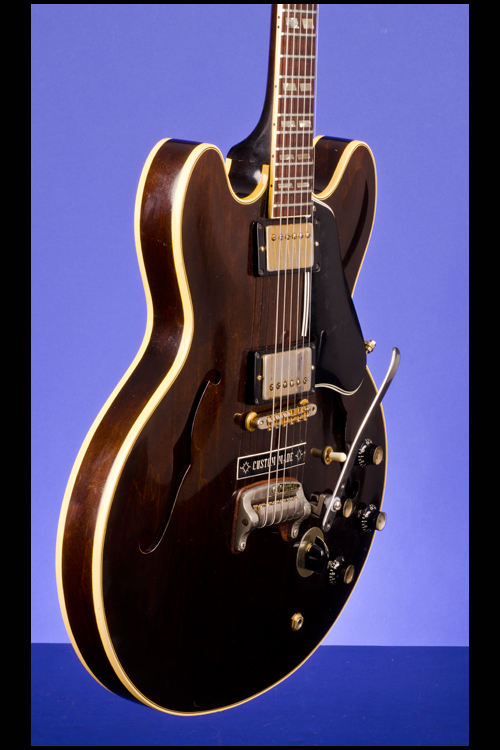 "The ES-345 was Gibson's first stereo guitar. 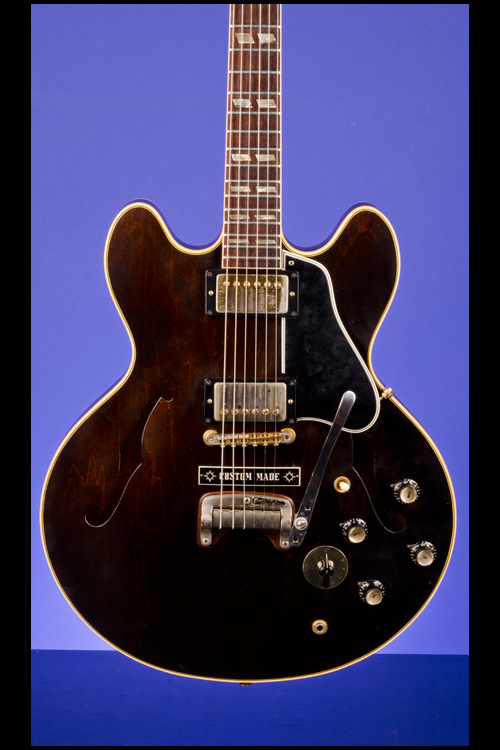 It had a circuit that, when connected to a suitable 'Y'-cable, would split the pickups to two individual amplifiers, creating a wide if not strictly stereo spread. It also had a Varitone six-way tone selector. 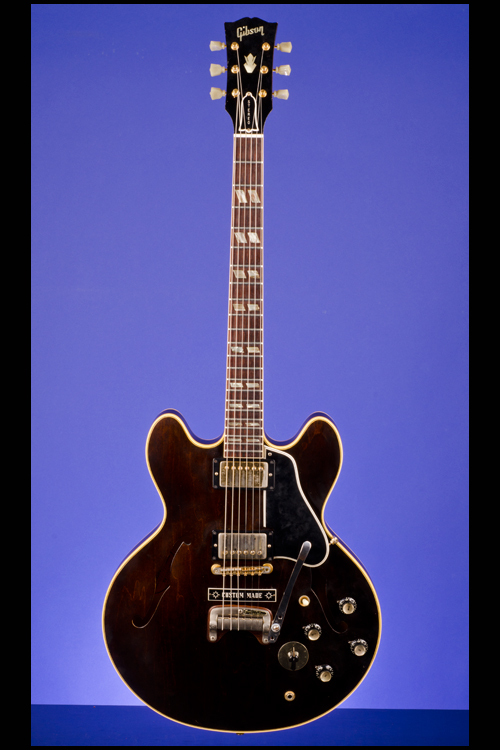 By 1963...the 335 family was priced as follows: the sunburst 335 was $300 ($315 in cherry); sunburst 345 was $395 ($410 cherry); and mono 355 was $595 ($645 with stereo and Varitone)" (Tony Bacon, The History of the American Guitar from 1833 to the Present Day, p. 105).